A hat-trick by Barcelona forward Lionel Messi fired Argentina to an easy 4-0 friendly win in Guatemala. Messi played for 67 minutes, opening the scoring 13 minutes in the game. Augusto Fernandez made it 2-0 and then Barcelona star Messi scored from the penalty spot before completing his hat-trick after the break. Messi and Sergio Aguero were the only usual starters that played from the beginning of the match but Argentina still dominated. 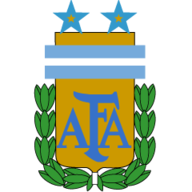 Argentina created chances from the start with Ezequiel Lavezzi, Aguero and Messi all going close before the latter netted his first with a shot from outside the box. 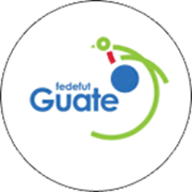 Guatemala showed little ambition in a game which looked a lot like a training session, Fernandez doubling the advantage in the 34th minute with a header. Five minutes later Messi was fouled in the box and he made the hosts pay from the spot with his second goal. For the second half coach Alejandro Sabella brought on Roma's Erik Lamela for his debut as Aguero was withdrawn. Two minutes after the break a fine team move ended when Lavezzi crossed for Messi to complete the scoring. The crowd spent much of the second half calling on the Argentina players to pass to Messi and the game went flat when he was substituted. Speaking to TyC Sports after the game, Messi's thoughts were on the World Cup rather than his three goals. Messi said: "That's the least important, the idea was to end the friendly well, the team's attitude was good, we played a serious game. "We know the World Cup qualifiers, how hard it was in other years. The sooner we qualify, the better to get ready for the World Cup. "The manager wants to make the squad stronger and we are slowly achieving it. The core of the squad is the same, we are doing very well and when we win, we work better too."